Since many seabirds, including the vulnerable albatross, do not feed at night, you can minimize interactions by setting your gear then. 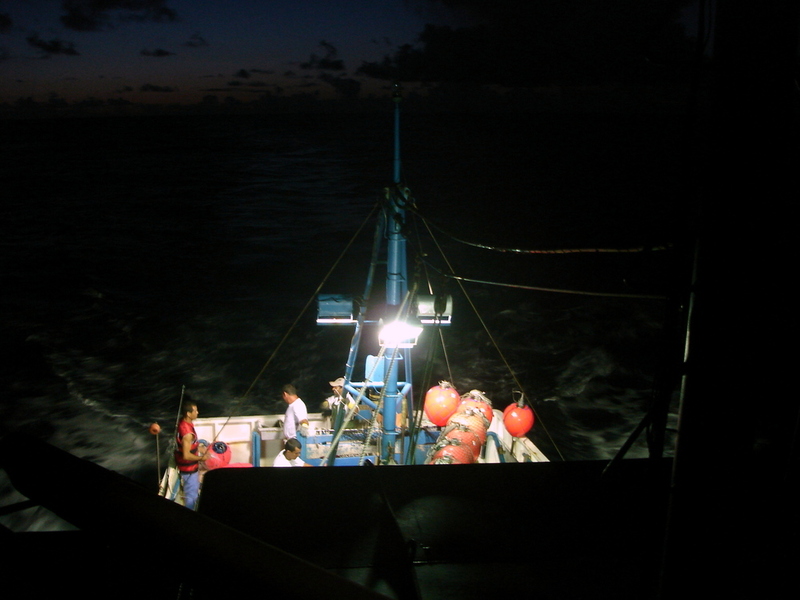 Night setting involves starting to set gear after nautical dusk and finishing setting before nautical dawn. Deck lighting should be kept to a minimum, use only as much vessel light as you need to comply with navigational rules and best safety practices.